LOS ANGELES — Oct. 25, 2010 — At its annual MAX conference today, Adobe Systems Incorporated (Nasdaq:ADBE) will showcase technology innovation that enables designers, developers and content owners to fully embrace today’s multiscreen revolution across PCs, smartphones, tablets and TVs. In the keynote address, Adobe Chief Technology Officer Kevin Lynch will address the market forces driving a new era of multiscreen content authoring, delivery and measurement. He will highlight how Adobe is helping solve the challenges of delivering multiscreen experiences with both Flash and HTML5 across areas of content creation that include websites, digital publishing, online video, enterprise applications, and gaming. The keynote will begin today at 9:30 a.m. Pacific. Sign up for live streaming of the keynote at the MAX 2010 website at http://www.max.adobe.com/online/. "The multiscreen revolution is a bigger shift in how people will use computing than we even saw with the personal computer revolution,” said Lynch. 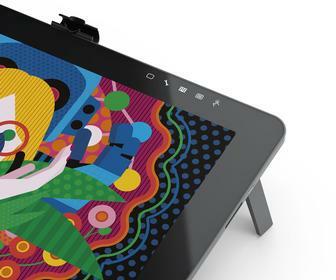 "Adobe's strategy is to help developers, creative pros, and entire organisations express themselves across the wide variety of devices that we are all using in our daily lives." Adobe has a long history of solving cross-platform challenges, and is now helping to clear a path through the fragmentation of the multiscreen world, driving the next wave of digital innovation and turning something that was once a vision into a reality. At MAX, Adobe will unveil advancements in the Flash Platform and in authoring for HTML5, helping designers, developers and content owners to engage with customers wherever they are and express their ideas and brands in new ways regardless of format, screen size or distribution channel. The company will provide updates on partner initiatives with a line-up of guests and surprises to be unveiled during the keynote, and will announce the extension of Adobe AIR® 2.5 to smartphones, tablets and televisions based on BlackBerry Tablet OS, Android and iOS operating systems, and a new generation of Samsung SmartTVs. Adobe AIR offers the most productive way for more than 3 million Flash developers to create, distribute and monetise rich, cross-platform multiscreen applications (see separate press release). Adobe is collaborating with top publishers, such as Condé Nast and Martha Stewart Living Omnimedia, to reinvent its media properties and reach audiences in powerful new ways. The company will debut a new publishing solution and the conference will provide a discussion of new business models and the revitalisation of brand advertising in the multiscreen era. On-stage demonstrations and guest speakers will illustrate the ways that cutting-edge publishers are bringing new levels of expressiveness and design fidelity to a wide range of devices (see separate press release). At MAX, Adobe will highlight its latest solutions for designing and developing enterprise applications that deliver more meaningful and personalised experiences to customers across a broader range of devices. Many enterprise systems were not designed to deliver fluid, intuitive experiences online and therefore businesses are losing productivity among customer-facing employees and customers who are frustrated with accessing services. Customers expect to interact with business applications or services in the same way they do when shopping, connecting with colleagues and friends, or booking a vacation. 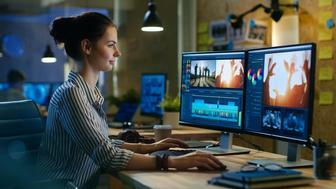 Adobe will showcase how forward-thinking organisations are building a competitive advantage by delivering consistent content and applications across screens. Over 70 percent of Web games today are built with Flash technology. Games are clearly moving to multiscreen, and Adobe is helping to enable more efficient game development that can be deployed across screens, without needing to build native games for each OS. MAX attendees will gain insight into gaming trends fueled by Adobe Flash and AIR, including the company’s plans to enable new kinds of try-and-buy games and a preview of new capabilities for Flash Player currently in development.